I must start my post by apologising. I know I haven’t posted for quite a while as I’ve been busy studying for an exam and writing assignments. I’m still mid-study, but something happened to me yesterday that I want to write about, so I’m typing this while sat on the train home from an all day seminar. I’d not had a reaction like that for more than 10 years, so I decided it was time to see my GP about being re-tested. My appointment day finally arrived yesterday. Mr Allergy battled his way through the rush hour traffic to get us to Southampton General Hospital for 9am. The traffic tried its best to thwart us, but at 8:58am he chucked me out of the car towards the West Wing entrance while he disappeared to find the elusive hospital parking space. The night before the test I thought I’d better check the appointment letter to see where I had to go and find out how long it would take to get there. I also thought I ought to find out whether or not I needed to avoid any particular foods in advance of the test. What I hadn’t realised (and if I’d actually read the letter when it arrived, I would have known) is that you’re supposed to stop taking antihistamines 3-5 days before a skin test. I didn’t do this, so upon arrival at my appointment I had to own up and say I’d taken a tablet the day before. I’ve had skin testing done before, over 10 years ago. I also would have been tested as a child, but I don’t remember this as I was too young. The test I remember was where the specialist tested different allergens on my skin. The results showed a very severe peanut allergy as well as allergies to dairy, egg, other types of nuts, fish, pollens and animal fur. I couldn’t have a skin test this time because of the presence of antihistamine in my system. However, my specialist told me this wasn’t actually a problem. Apparently skin tests on people who had bad eczema as a child can give a false positive result, as the skin is naturally more sensitive. For results to be accurate they need to be read in conjunction with blood tests. Thus, I lost around 7-8 ampules of the red stuff to a friendly looking vampire in the phlebotomy department. It was a fascinating appointment. Things have moved on considerably in the space of only a few years. I’m due to go back for some skin testing once my blood test results are in. I’ve also been referred to a nutritionist who can make sure I’m not missing anything vital in my diet. Once all of the tests are complete I may be put on a programme of introducing different foods, which both excites and scares the bejeezus out of me. I also learnt that it is possible for a person to have an allergy to locusts (for the record I don’t think I’m allergic to them). Apparently it’s similar to a shellfish allergy and brings on hay fever-type symptoms. This came up in conversation as, in my bid to be allergen free, I have pet geckos; little did I know my pets’ food could cause allergic reactions. For clarification, it’s an airborne allergen, the allergy isn’t from eating the locusts, although I’m sure if you did feel a bit partial to a ‘hopper’ it might give your mouth a tingle. It does make me wonder what happens if/when insects become a main part of the human diet; will new food allergies appear? 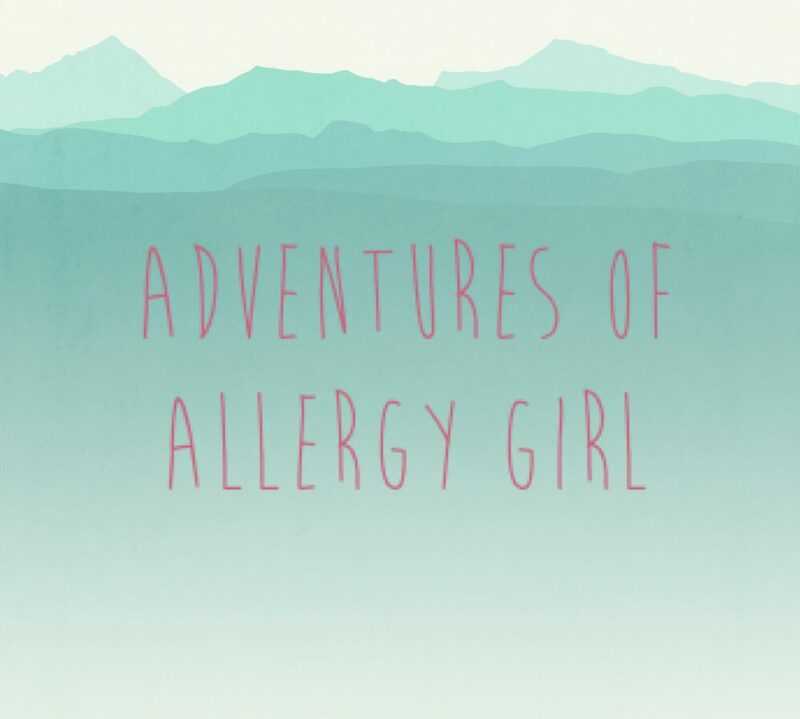 The key thing I learnt is that the method of treating allergies now is very different from the methods in the early eighties when I was first diagnosed. The medical opinion back then was to avoid the allergens altogether with the hope you would grow out of it. Unfortunately for me, this means that I have never had the opportunity to desensitise from these allergens and I’ve grown into more allergies as I’ve got older. If I was diagnosed as a child now, they would expose me to the allergens to help build up an immunity. Hindsight is a wonderful thing, so I’ve got to work with how things are now, in the hope it might get a little bit better. That’s all from me for now. Hopefully I’ll have some good news over the next 6-12 months, but I’ll keep you posted on how things go.